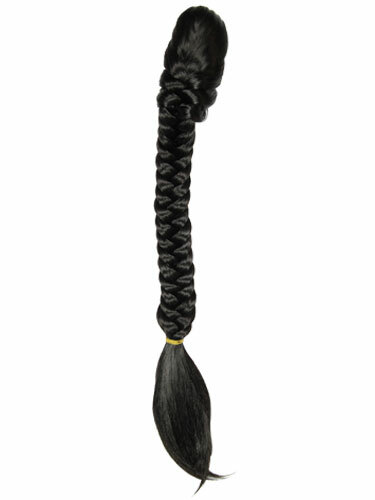 The Fishtail Braid Synthetic Hairpiece is perfect to work from day to night. The fishtail plait can be worn either as a long braid or wrapped around to create an artistic bun for a sleek glam look. The hairpiece is very easy to put on, just put your own hair into a pony and clip the Fishtail onto it, and you have a totally on-trend fishtail in moments!